The On Deck Sports Pitcher of the Night is Keystone College Pitcher Dakota McFadden of the Worcester Bravehearts who went 2 innings of relief, allowing a hit, a walk, no earned runs, while striking out 1 to close out the game for the Bravehearts over the Martha's Vineyard Sharks in game 1 of the Futures League Championship by a score of 10-6. The On Deck Sports Player of the Night is University of Connecticut Catcher Paul Gozzo of the Worcester Bravehearts who went 2-5 with a home run 2 RBI, and 2 runs to help the Bravhearts defeat the Sharks in game 1 of the Futures League Championship. 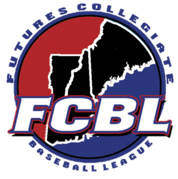 © 2019 Futures League (FCBL). All rights reserved.